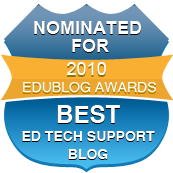 Through this platform my goal is to share educational technology resources as well as discuss general education issues. I share a weekly post with resource for across the core subjects. 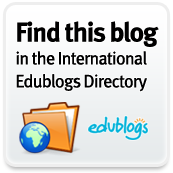 This blog will mostly focus on Secondary Education resources, with an occasional elementary or middle school resource as well. I highly recommend that you view my Most Popular Posts to see what I discuss the most. If you have a question or need further assistance, please feel free to comment on a post. Thanks for reading. I went on to Western Kentucky University with dreams of getting a degree in meteorology, and heading out west to chase Tornadoes. Well, that dream changed once in college when I discovered how much I loved history. At the same time, computers and technology was growing. So I found education as a place where I could be around two subjects that I love. While at WKU I met my current wife and moved with her to her hometown where I got my first teaching position. At this new teaching position I was generally the teacher that many asked for help with the technology. Whether it was Office, Internet, or our grading software, I was the guy people generally asked for help...and I was happy to do it. It also got me thinking...."Schools apparently need someone within the building to help teachers integrate and use technology." After two years I got a job in the same district as my wife. This was a good change to be on the same schedule. At the new school, being the technology integration and information guy continued. After four years of teaching Social Studies, I interviewed and accepted a position as a Technology Integration Specialist at my school as well as two feeder middle schools. The position was part of a two year grant and after those two years I returned to the classroom teaching Civics to freshman. This current school year I accepted a position as a Curriculum Coordinator at the other high school in my district and am currently learning a lot about what all goes on with curriculum. Has definitely and will continue to be an eye opening experience. Now that you know me, get to know my blog!